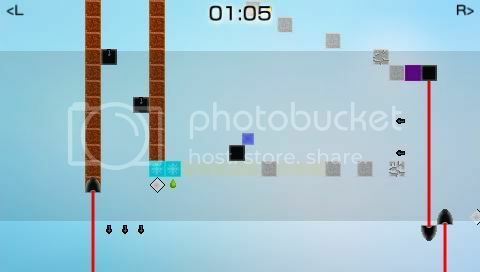 gSquare - Platformer game with gravity control ! Re: gSquare - Platformer game with gravity control ! Since levels are described using Lua files, it might be difficult to create a complete level editor. Anyway, before continuing to develop this game, I must solve crashes by patching the audio library. Sort of time-waste.. Contributing to the most awesome project yet: uOFW. Join us! gLib2D - A simple, fast, light-weight 2D graphics library for PSP. intraFont-G - A mod of intraFont by BenHur which adds rotation support. Check out my GitHub repo! developper yosh updated the unofficial version he modded to version 1.0a, for Geecko's latest bugfixes ! yosh wrote: Hey here's an update for my unofficial version of Geecko's & Meastnt's excellent homebrew game gSquare ! It now includes all Geecko's 1.0a version bug fixes ! and finished the game totally crashless on my pspgo with 6.39 pro b8 ! i love this game, funnest homebrew ever. gSquare 1.1 will be released soon, with... a PC port for Linux/Windows/MacOS ! 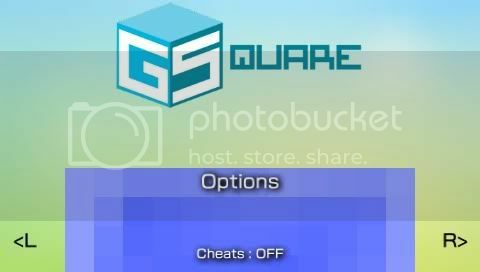 gSquare 1.1 available. PC port delayed. Grab it! and vote for it! perfect...can u plz add a level editor and that youtube video..
nice can cant wait for that video to be added on startup lol!